Finding the perfect knitting needles is almost as hard as trying to find your favorite yarn. 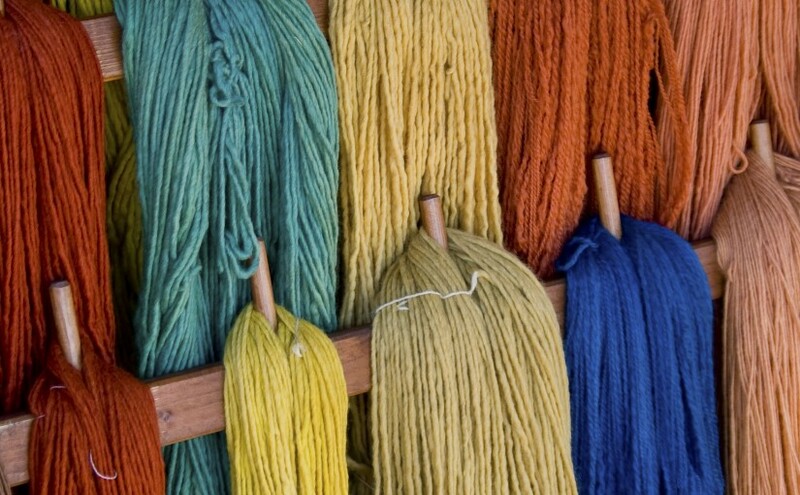 Yarn is available in many colors and weights and you can encounter the same problem when deciding which needle to use. You would think finding two sticks would be simple…but let me tell you it’s not. Double pointed needles for sock making but you can use circular needles. 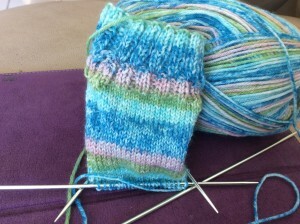 I have been knitting on and off for over 30 years or so. I haven’t made anything substantial like a sweater but I have made a few soft toys, a shrug, some fingerless gloves as well as the obligatory scarf or cowl and a lot of washcloths. 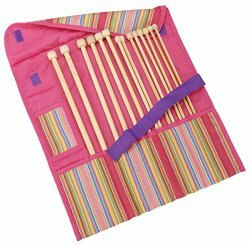 Knitting Needles come in a variety of styles and are made out of many different materials such as Wood, Bamboo, Metal and Plastic and you also have to decide whether you are looking for straight, circular, interchangeable and all the other varieties in-between. I always used to like using metal knitting needles. The yarn would slip off the needle really easily making it fast to knit but if you’re trying metal needles for the first time you may find that they are too slippery and you are dropping and losing stitches from them falling off too easily. Using metal needles gives you the classic clickety-clack noise that is often associated with knitting. I also had an odd collection of needles that I would pick up free from magazines that had fancy designs, were see through or came in garish colors as well as my old ones from learning to knit that were too short for anything substantial. I then made a decision that I wanted a complete set of knitting needles so I could have any size I needed at any time. I also wanted some way to store the needles – they are not the easiest things to put away and you don’t want them warping or getting ruined. After much research I decided I really would like to move away from cold metal knitting needles and have some bamboo needles instead.